Value Care is a value-driven and client centered Nurse Registry that connects people in need with compassionate caregivers. With offices in Miami-Dade County and beyond, we have been in operation since 2007, and we run our business based on honesty, kindness, and value. We understand that our clients are in need of qualified care at affordable prices, which is why we refer caregivers at the lowest cost available. Because of our size and our commitment to you, Value Care works with a large pool of qualified caregivers who understand that our clients need more care. Value Care does not market superfluous services that our clients don’t need. We have no minimum amounts of visits per week, and there are no special surcharges on our part for weekend or holiday visits. Our clients can choose the caregiver who best fits their needs and schedule . Whether you are looking for around the clock care, some companionship once or twice a week, or elder care support in Miami-Dade, our innovative Care Match Program and First Day Satisfaction GUARANTEE are especially built to find you the right caregiver. We also aim for the highest standards when it comes to caregiver referrals. Each caregiver who wishes to register with Value Care must first pass stringent screening and testing procedures. They are masters in transfer techniques. We want our clients to know that they are in compassionate and qualified hands, which is why we designed this screening process. After meeting with clients to determine their needs, we match them with a caring and qualified caregiver. 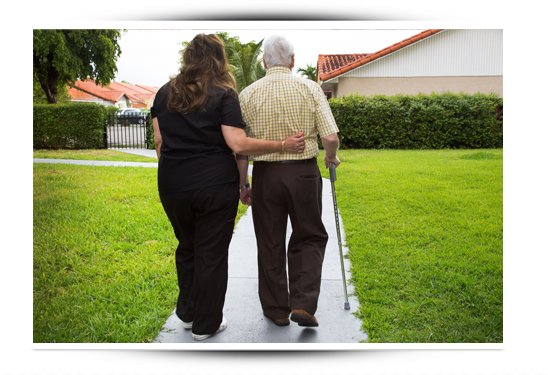 If you or a loved one is in need of experienced home care in Miami-Dade County or surrounding areas, Consider Us at Value Care today. We are available 24 hours a day, 7 days a week to listen to your needs. Our motto is Pay Less, Get More Care. We have built our company to live up to that promise.